GREAT BAY - Part of the landfill on Pond Island is on fire. Residents living downwind in the Philipsburg area and surrounding neighborhoods from the smoke, should close windows and doors. This advisory is especially for persons who have a respiratory challenge such as asthma or shortness of breath. 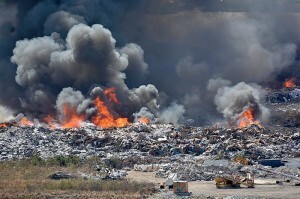 The Fire Department has been working for a number of hours in containing the fire at the landfill on Pond Island. The Fire Department will continue to monitor the situation and request the nearby communities to follow the aforementioned advice while smoke continues to impact nearby communities.